Planting Dates: Spring, 2-3 weeks before the last average frost. Fall, 10-12 weeks before the first average frost. 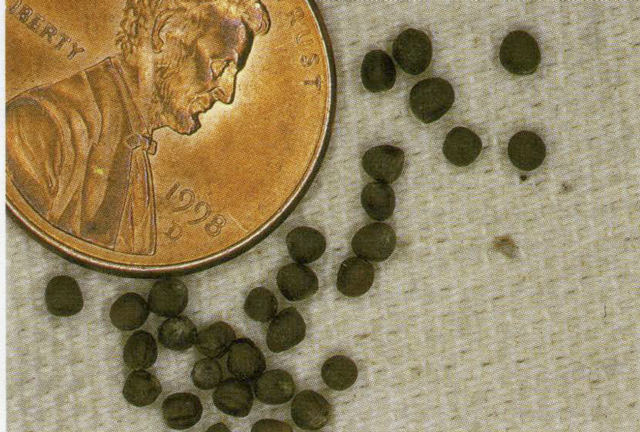 Best to use transplants instead of sowing direct. In general, February 10 - March 20 and August 1 - August 31. Planting Method: Seed planted ¼” in the soil. Transplants are best for the home gardener. Final Spacing: 14-16 inches in a single row; 5-7 heads per 10 feet of row. Growth Habits: This is the most difficult crucifer to grow. Of all the cabbage family it is the least tolerant of freezing weather and hot summer weather. It has a relatively shallow root system. Culture: Cool temperatures are needed for large, high quality heads. Even soil moisture is needed to avoid “buttoning” or small heads. 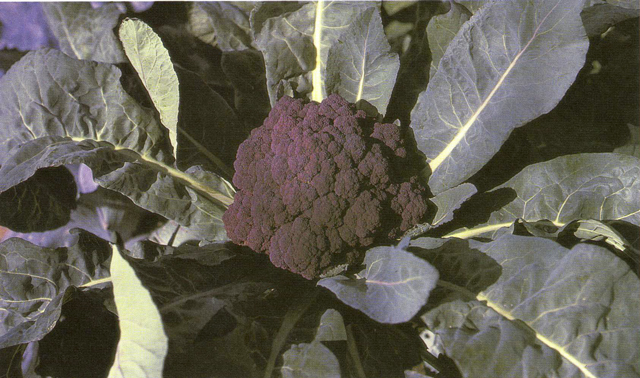 Add additional organic fertilizer when the small inner leaves begin to cup and start to form heads. Some gardeners recommend tying the larger outer leaves together over the head as it forms. This will prevent sunlight-caused discoloration of the head. Does fairly well in heavy clay soils. Because cauliflower heads form so fast, fertilizing when you first see the head usually won’t help. Add a half a handful of fertilizer when the plant’s leaves seem to be as big as they’re going to get, usually 5 or 6 weeks after transplanting. Troubles and Solutions: Hard to grow vegetable. Temperature extremes are damaging. Pests include cabbage loopers, aphids, imported cabbage worms, cutworms, and harlequin bugs. Build the soil well with lots of compost and rock powders. Keep the soil mulched well and foliar feed at least every two weeks. Harvest and Storage: Harvest tender greens any time. Harvest heads when they are full and firm and about 6-8 inches in diameter. They can be kept 2-4 weeks at 32-40°. 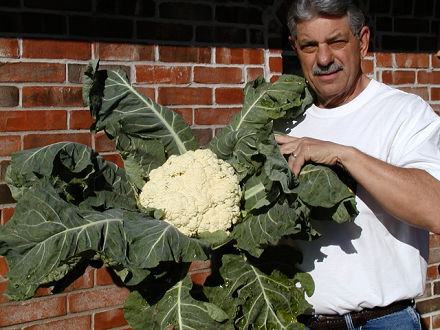 Notes: Cauliflower is the least winter hardy of all the crucifers. Avoid odd looking or woody transplants. Varieties: Snow Crown, Snow King.